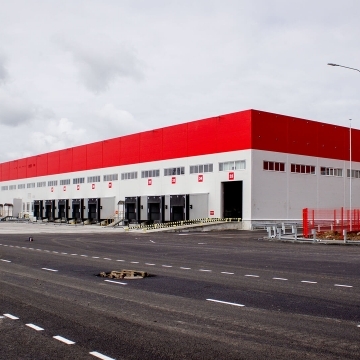 The X5 Retail Group is Russia’s second largest food retailer. 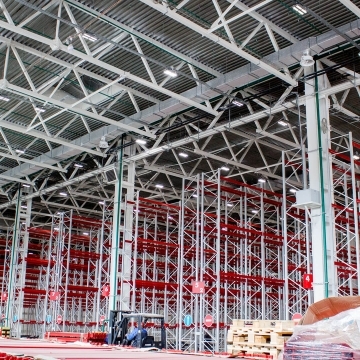 Struggling to control the lighting in their new 30,000 sqm distribution centre in Tyumen, Russia; the company required detectors that would mount up to a height of 15m that would work with its current control system. The warehouse is always open and when the work requirements change, so does the lighting. The X5 Retail Group required a centralised lighting control system with the ability to be able to select different scenarios for managing the whole facility and its zones. 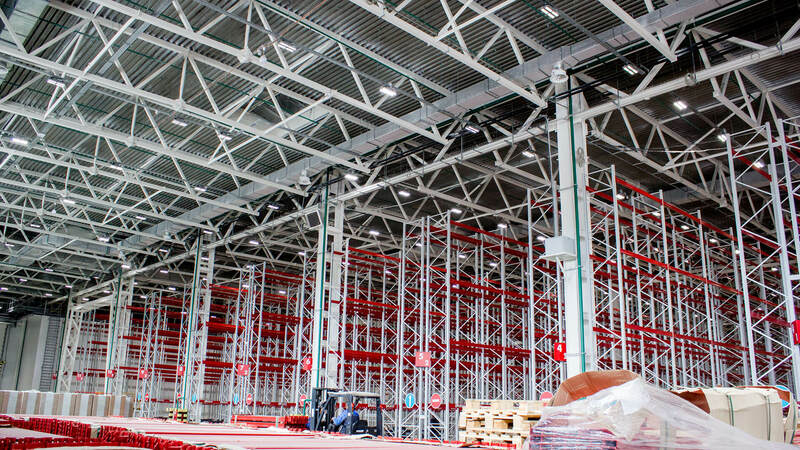 The system needed to operate off-line using presence detectors and the warehouse maintain a 250-lux lighting level even where the luminaires are located at heights of at least 12m. For this project, CP Electronics were partnered with Russian lighting company, DEUS LLC. 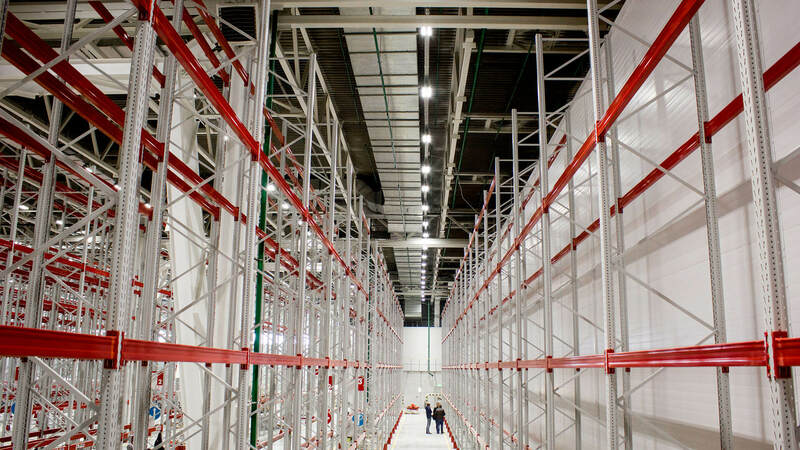 “Because of the nature of this project, it was essential that the warehouse lighting was fully adaptable to the needs of the work being carried out on different days. We also needed to provide a solution that would operate at a height of at least 12m and maintain the lux-level criteria. 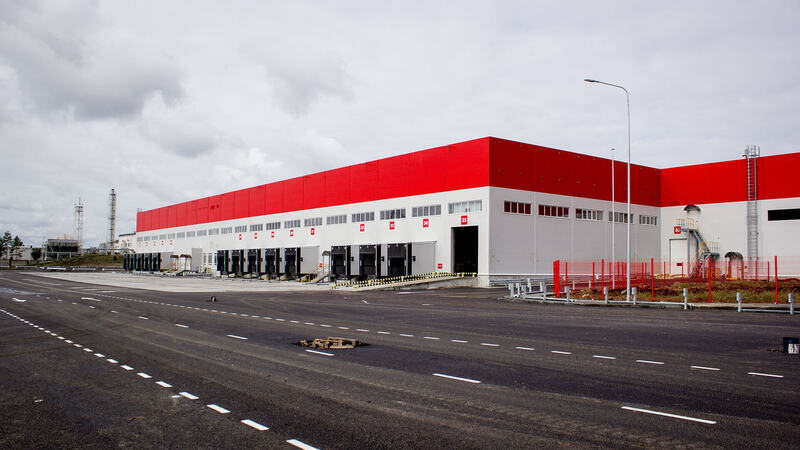 “The EBDHS-DNET1 high bay PIR presence sensors we used on this project are ideal for lighting control in demanding spaces, such as warehouses and factories, and provide sensitive and long-range detection. 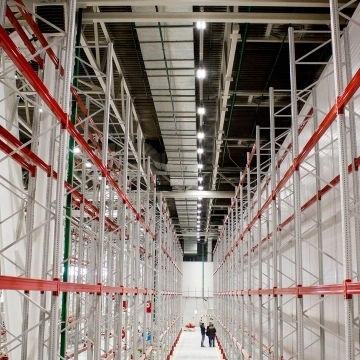 “The main lighting of the warehouse comprised 1,500 luminaires equipped with DALI drivers. DEUS LLC used their own ME6 DALI control system which included 32 control routers and we provided 156 EBDHS-DNET1 combined lighting and presence detectors. “The joint CP Electronics / DEUS relationship saved the X5 Retail Group a significant amount of energy and money and provided them with a fully flexible and adaptable lighting control solution which accommodated whatever lighting scenes they required.